c. You can always download the “Sample CSV File” to get the proper layout and use that in the future. Highlight the file and click on “Open”, bottom right of the menu. Click on the Process Button. Invoice: Type in your Invoice number, if you don’t have one use the last activity date on your invoice. This field can’t be blank. Agency: Select the Agency you are submitting the invoice for. You must select a valid company. Notes: If you have any notes you would like the Agency AP department to read type them in this field. 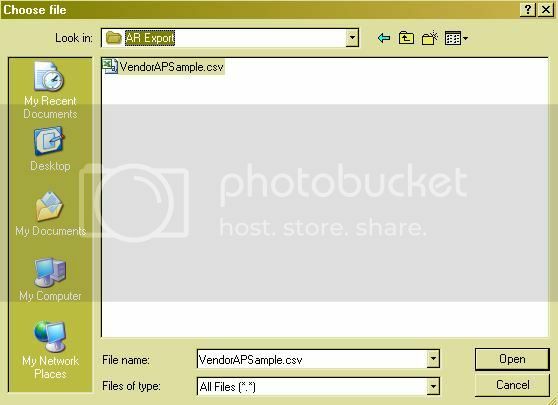 File: Displays the details of the import in a Text file format. Submit: If you have the correct file selected and you completed the Invoice and Agency fields then click submit. b. In the “A/P” Processing column click on History and you will receive a list of submissions in order of submission date.